We welcome you to join us before the conference begins for breakfast and coffee to help kick start our Monday. Mark, Co-Founder of WooThemes, will help kick off our very first WooCommerce Conference. Head over to the Speakers section to find out more about the people behind the talks. Join me to find out how to make your sites more valuable for you and your clients. We'll cover a few ways that you can measure, test, and analyze the experience that visitors and buyers have on your site with one goal in mind: increasing revenue. Topics will include ways to get more transactions, increasing the average transaction size, and using retargeting/lifecycle emails to increase repeat sales. Buy Now! Buy More! Buy Again! In this presentation, learn how to use automated campaigns to lower shopping-cart abandonment, increase order size, and foster loyalty through the use of personalized automated marketing — both online and offline. We’ll introduce and explore topics such as: defining personas, developing lead scoring rules, when to use squeeze pages, landing pages, and microsites, when and how to use drip and nurture campaigns, how to personalize your messaging, designing A/B test, tracking and understanding analytics, managing your lists, and drafting your campaign. You’ll leave this session with dozens of new ideas for how you can improve potential, current, and return customer engagement within your store. What’s more, these skills provide a solid foundation for marketing approaches and techniques in pursuit of additional traffic and increased revenue. Stretch those legs and grab another cup o joe! Scaling WordPress has been historically been a story of caching, WooCommerce breaks out of that mold and is labeled as hard to scale as a result. We will look at what it takes to scale WooCommerce, including: database and web server sizing, benchmarking, monitoring and caching. The talk will also cover template design and how it can have a huge performance impact. Improve your WooCommerce sales without UX testing. Luckily, the most effective user experience improvements have been thoroughly tested already and only need to be implemented by a savvy WooCommerce user such as yourself. In this talk I explain the top 10 changes you should consider making to any WooCommerce store to improve sales based on testing done by the largest and most experienced retailers on the planet! Learn about how an anthropological perspective can help you get to the heart of client stories and craft websites with their own personality and culture. Head upstairs to the 2nd floor for some grub! Head over to the Attendees section to find out more about the people you’ll be joining. Lunch provided by WooThemes! Nom. Nom. Nom. During this talk I will highlight my personal favorites of the Google Analytics datasets and how to find them. There are potential gold mines in there; you just have to get to know them. In this way, that data is your friend. The more you get to know data, the more you'll understand it, be annoyed by it, love it or hate it. The data will tell you something's (horribly) wrong, but only if you ask for it. With each dataset I highlight, I will show you the common mistakes we see at Yoast and what kind of data that would lead to. Using my knowledge in psychology I'll explain how to prevent or (partially) solve these issues as well as why and how these solutions will work. Psychology will bring you understanding of your potential customers. It will guide you out of, or away from, the woods, as would a mentor. Ninety percent of Americans will shop online this year, but only 28% of businesses are prepared to accept a payment. Businesses cite security and risk as two reasons that keep them from accepting online payments. They shouldn't. Learn how to provide a secure experience for your customers and your business. Hear best practices for managing risk from an expert in the payments industry. This talk will cover the basics of security, including how YOU connect and work, how your clients work, and how you can write code in a way that is both secure and performant. Grab a drink and a snack and stretch those legs once more! Building your platform doesn't have to cost you millions of dollars if you know how to bring WooCommerce, Sensei and a few key extensions together. Come hear how you can sell eBooks, online courses, physical books, and run a membership site all from one solution. I'll go into what it takes to gain real traction to your website. We will review how to pitch your story/site to press and then how to gain momentum online. Learn the techniques to build and grow a profitable blog. Including, selling your own products for the highest profit margin, using email marketing to increase conversions, and using perfect pricing to triple revenue. The lead organizers of this year's WooConf 2014 will close with a few remarks about the day, thanking the sponsors once more and kicking off the after party! Time to kick back and say cheers! We would like invite you to stay with us after the conference to celebrate with cocktails, Hors d'oeuvres and a super sweet prize giveaway courtesy of other fellow WooCommerce Shops! Join us for day 2 of WooConf featuring Deepak Nadig, the Head of API and Developer Platform Engineering at PayPal, and two tracks of workshops for Shop Managers and Developers! PayPal provides a faster, safer way to pay and get paid online, via a mobile device and in store. From the earliest product which enabled people to pay each other via PDA devices, to enabling online merchants accepting secure payments via PayPal, to helping consumers accessing money in their PayPal accounts via ATM machines to enabling consumers to pay on POS terminals using their mobile number and PIN, PayPal has been redefining the future of money. With 143 million active accounts in 193 markets and 26 currencies around the world, PayPal enables global commerce, processing more than 9 million payments every day through its integrations that are powered through its APIs. Beginning with simple HTML buttons for the web, PayPal APIs evolved over the last 14 years, and driven by business needs and technology evolution, they have enabled integrations across a variety of channels including mobile, POS and other connected devices. In this talk, you will learn about how PayPal modernized its internal and external API Platform that is enabling the future of Money. Grab a drink and a snack and stretch those legs! Learn tips and best practices for setting up your WooCommerce shop. How to design, build, maintain & support WooCommerce extensions. This workshop will involve working through ways you can help your WooCommerce customers build their businesses online, and how this can translate to more revenue for your business. We'll talk through how to approach your customers about value-add services, low-hanging fruit in most eCommerce setups, and how you as a developer can assist your customers from the perspective of growth marketing. In this workshop we'll explore how simple it can be for developers to create a tailored WooCommerce experience that can support a myriad of needs. Specifically we'll review a number of customizations I created for WPSessions.com which allow me to run an access-controlled site that sells both individual products and annual memberships. We'll look at some of the simpler modifications, like custom templating, all the way through to advanced (but still simple!) custom extensions for restricting site access to varying levels of paying customers. For the clever sales and marketing people in attendance, we'll also look at how I track prospect movement throughout the site prior to purchase in order to optimize the site to improve sales. There will be ample time for questions, too, so that you can figure out the best way to bend WooCommerce to your own (or your client) needs. 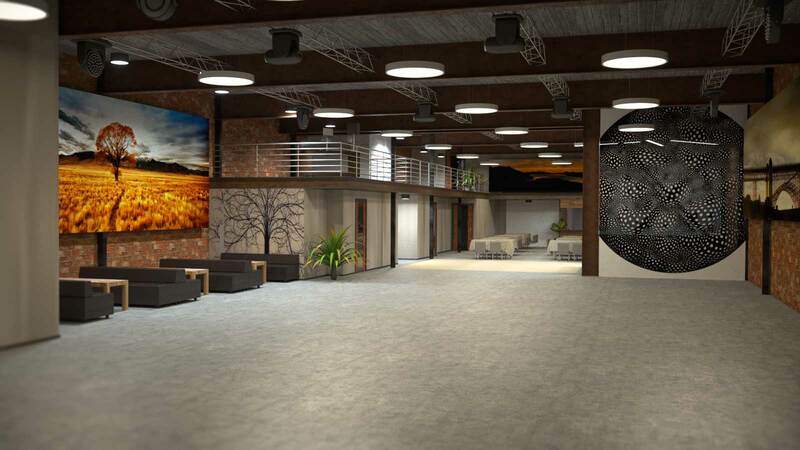 969 Market is a 17,000 sf event venue with over 1300 person capacity spread over 3 floors. We offer leading edge embedded event solutions for immersive video mapping, interactive technologies and video production in the heart of San Francisco. Our mission is to host and produce large scale influential events that create unique memorable experiences. Our event space provides a place for events such as conferences, product launches, activations, immersions, and more. 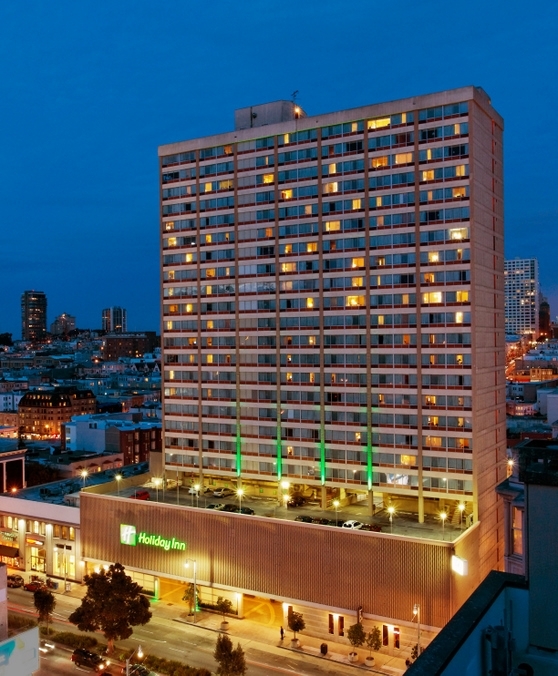 Special accommodations have been arranged with Holiday Inn Golden Gateway - 1500 Van Ness - for conference attendees. Please follow this link to book your reservation to get the #wooconf discount. (Valid until October 17). If you have questions regarding reservations, it's best to contact Holiday Inn Golden Gateway directly at (+1) (866) 272-7098. Space is limited so be sure to get your booking in today! Chris Lema has been working with WordPress for 9 years. His daily blog (chrislema.com) covers the WordPress ecosystem from a business perspective. His day job is as chief strategist at Crowd Favorite. But it’s his coaching and consulting that brings him into the community – helping theme and plugin companies with product development and strategy. Chris has been using WooThemes and WooCommerce since they were released. He loves helping people build their platform using WooCommerce, Sensei and more. WooCommerce is my hobby and my profession. I work day-and-night on WooCommerce Subscriptions - the largest extension in WooThemes’ extension marketplace and have founded my own company, Prospress. I help organize a WooCommerce Meetup group in San Francisco and am providing technical review for ""Building E-Commerce Solutions with WooCommerce”, the first ever WooCommerce book. Prior to falling in love with WooCommerce, I worked as a WordPress freelancer for clients like Stanford University and the Australian Federal Government. Max Rice is co-founder of SkyVerge, the largest WooCommerce developer with over 55 premium extensions and 150,000 downloads across 8 free plugins. Max is also a core contributor to WooCommerce, with 195 commits and over 18,000 lines of code added. In addition, Max writes tutorials and articles about WooCommerce on SkyVerge.com and SellWithWP.com. Justin Stern is co-founder of SkyVerge, the largest WooCommerce developer with over 55 premium extensions and 150,000 downloads across 8 free plugins. Justin has been developing within WordPress since 2011, and working on WooCommerce related projects almost as long. In addition, Justin writes tutorials and articles about WooCommerce on SkyVerge.com and SellWithWP.com. Nathan Barry is the author of Authority, an award-winning book that teaches what he’s learned about writing, marketing, and pricing strategies. He’s also the founder and designer of ConvertKit, an email marketing company. Nathan speaks regularly at conferences and workshops in the U.S. and Europe. Thijs de Valk is a behavioral scientist that uses his knowledge in psychology to form a broader understanding of user experience and conversion. Conversion rate optimization and online marketing, combined with the wealth of data you can collect using today's tools, are his ideal way to substantiate the theories of psychological processes. Thijs started working at Yoast in December 2012. He has since been doing website reviews, conversion reviews, support and A/B testing on yoast.com. This has taught him a lot about how people behave online and how theories of psychological processes apply online. Cyndie Shaffstall is a successful entrepreneur, author, marketer, marketing-data analyst, and business manager. For more than 30 years Cyndie has been part of the sales funnel — as a software distributor, self-published author, training consultant, and now marketer — focused on converting prospects to customers. With the unprecedented visibility offered today through marketing analytics, her latest venture, Spider Trainers, enables companies to achieve higher conversion rates through complex drip and nurture marketing campaigns. Having authored more than a dozen books, dozens of ebooks and videos, and hundred of articles, Cyndie often speaks and writes on the topic of using marketing automation — both online and offline — to help businesses collect and act upon meaningful marketing data. Kandace Brigleb is a Principal at Needmore Designs in Portland, Oregon. She fuses formal training in Anthropology with over a decade of web project management. She is co-producer of The Job, a podcast unearthing Portland culture, one interview at a time. Brennan Dunn is an author, teacher, startup founder, podcast host, and newsletter junkie. He's written two books, "Double Your Freelancing Rate" and "Sell Yourself Online: The Blueprint", which have helped thousands make more money and get more clients. Brennan also teaches the Consultancy Masterclass workshop and hosts a weekly newsletter read by over 16,000 freelancers. He's also the founder of Planscope, a project management tool for freelancers and small teams. In a past life, Brennan quit his full-time job as the CTO of a large agency and went out on his own. Within in a few years, he had scaled up his consulting company to 11 full-time employees with an international portfolio of clients. He has since stopped running the company to focus on Planscope and his other products. Do you own an online store, or help others setup their ecommerce sites? If so, join me to find out how to make your sites more valuable for you and your clients. Robert is co-founder of Graphflow, a machine learning start-up, that uncovers patterns in consumer behaviour to match people and products. He has over 10 years experience designing and delivering software products and finds his passion at the confluence of design and data. He obsess over usability and simplicity, and is at home in Africa. We'll explore how our shopping experience has evolved and how, through intelligent recommendations, we can ensure that customers are presented with an engaging and relevant experience. David de Boer is well known in the Netherlands for his experience working with payment systems such as iDEAL and others. In this talk David will explain changes you should consider making to any WooCommerce store to improve sales based on UX testing done by the most successful eCommerce stores. Joshua is CTO of Pagely and spends his day building and scaling their WordPress Platform. His career has been focused on PHP. He has lead engineering teams at StumbleUpon, scaling the platform though millions of users of growth. He has been involved in the Open Source community as well, writing PhpDocumentor and helping to run the PEAR project for many years. Scaling WordPress has historically been a story of caching, WooCommerce breaks out of that mold and is labeled as hard to scale as a result. We will look at what it takes to scale WooCommerce, including: database and web server sizing, benchmarking, monitoring and caching. The talk will also cover template design and how it can have a huge performance impact. Brian Richards is the creator of WPSessions.com where he dedicates his energy to providing the best WordPress education from the best and brightest WordPress experts. He has been working with WordPress since 2007 (version 2.3) and has been developing with WooCommerce since 2011 (version 1.0). Over the years, Brian has helped develop custom solutions and web apps for hundreds of different companies, most recently including Microsoft, YMCA, Dallas Museum of Art, and scores of others. In everything he does with WordPress, whether it be building custom solutions or providing live training through WPSessions, Brian's goal is simple: to help others be empowered by WordPress. Deepak Nadig heads Platform Engineering at PayPal. In this role, he leads the team responsible for delivering APIs, SDKs and Developer Experience to PayPal's external and internal developers. Prior to PayPal, Deepak led eBay's Enterprise Architecture organization. Earlier at eBay, as a Distinguished architect, Deepak led the architecture of eBay’s advertising, analytics, experimentation and web services platforms. Before eBay, Deepak co-founded Covigna, a pioneer in contract lifecycle management, and held senior technology roles at HP and VeriFone. Ned is the founder of Elto, a marketplace of expert marketers and developers helping small business grow online. With 5 years experience building an agency and working with brands like eBay, EA Games and Universal Music, Ned launched Elto as a way to make web development and growth marketing accessible for small business owners. Rahul is a professional in the payment industry, conversant with different networks, fee structures, security implications and PCI compliance. He currently works with MasterCard Labs, the R&D arm of MasterCard Worldwide, focusing on how to make payment channels secure but simple to use. Before MasterCard, he worked on creating low latency interface architecture for mobile applications. In his free time, he works on autonomous R/C modeling and finding uses for Raspberry Pi. Sam was the creator of BruteProtect, a WordPress security plugin acquired by Automattic in August 2014. He now works on the Jetpack team at Automattic, with the goal of bringing killer features and functionality to WordPress blogs everywhere. Sam travels with his wife, Becky (and, quite often, their dogs, Barkley, Izzy, and Stanley) to WordCamps around the world. He presents on topics ranging from security to building web apps to building and managing large blog networks. I'm a web developer & WordPress enthusiast. While training as a graphic designer, I fell in love with making things work and the world of code. I take care of product and look after TeamDev at WooThemes. I'm all about pushing boundaries & making the "impossible" possible. Lover of punk rock, guitars and old cartoons. Bob Dunn is a WordPress coach and trainer with a knack for turning ‘geek talk’ into a language the average user or beginner can understand. His online membership site is perfect for do-it-yourselfers who want to set up their own WordPress site. He also gives in-person workshops in the Seattle, WA area. Bob has presented at the BlogWorld and New Media Expo in Los Angeles, New York, and Las Vegas, at various WordCamps, and at other regional conferences and events. An avid blogger himself, he shares useful tips and tutorials on blogging and WordPress at bobwp.com.